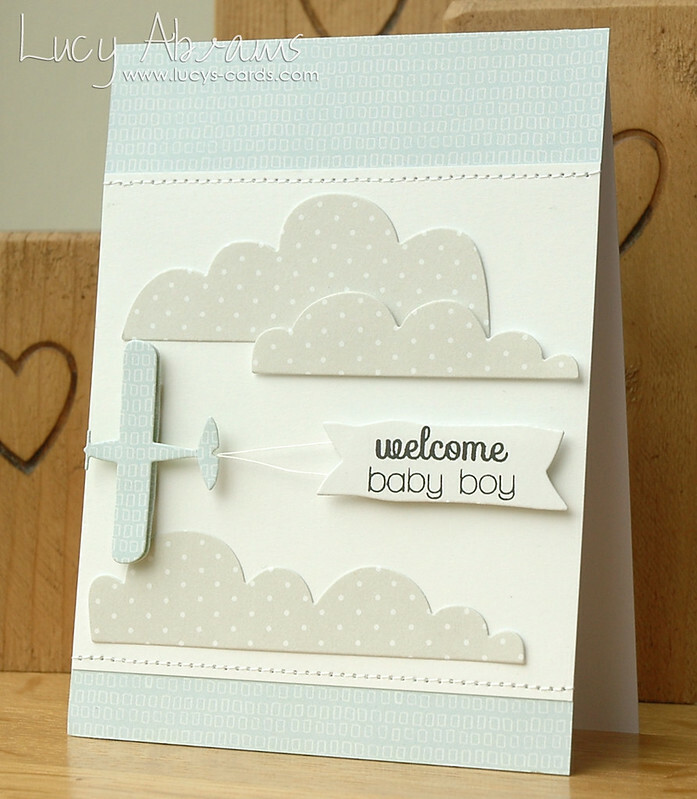 I'm here today to share a card I have published in the March issue of Paper Crafts and Scrapbooking Magazine. I actually have two baby cards in this issue - both on page 66. The one I am sharing today features some yummy Simon Says Stamp goodies. 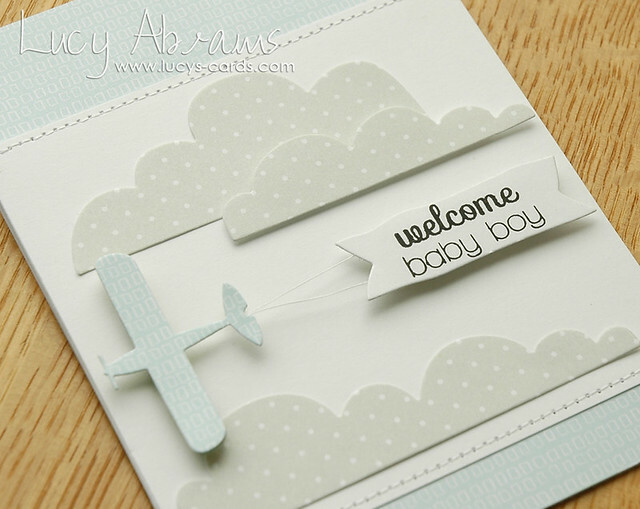 I love this Small Planes die - and when combined with a die cut Sketchy Banner and some sweet Flat Bottom Clouds, it makes for a perfect announcement card. The sentiment is created with stamps from THIS and THIS set. To see my other card, you'll have to purchase the magazine - it's available HERE as a digital magazine. Fab... and I have those sketchy banners .. yipee! off to get inky and use some of my stash.